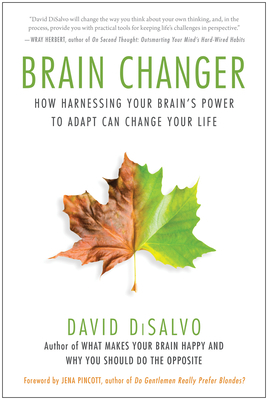 Science writer and bestselling author David DiSalvo returns with Brain Changer: How Harnessing Your Brain's Power to Adapt Can Change Your Life. Drawing on the latest research in cognitive psychology, neuroscience, behavioral economics, and communications, DiSalvo replaces self-help with "science-help," giving readers practical steps to change their thinking and their lives. Known for his accessibility and applicable findings, DiSalvo explains that the human mind operates via a series of "feedback loops" generated in the brain. By identifying how these systems work, DiSalvo shows we can actually redirect our thinking through metacognition, a tool for thinking about thinking, to influence the brain's response. Using relatable examples and tackling major aspects of our lives including relationships, careers, physical health, and personal development, DiSalvo demonstrates how the brain's enormous capacity to adapt is the most crucial factor influencing how we feel and act--a powerful tool we can control to change our lives.